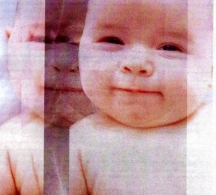 Should human embryos be screened for genetic defects? investigates this morally thorny issue. The issue of screening human embryos has dominated the media in recent months. Groups-both for and against-have represented their views, and the debate rages on. Families who are genetically susceptible to Familial Adenomatous Polyposis (FAP) have dominated the current debate, for it is these people who have just been allowed by the HFEA (Human Fertilisation and Embryology Authority) to screen embryos in an effort to prevent the tragedy and misery that this dreadful condition brings. Previously it was only untreatable illnesses like cystic fibrosis and Huntingdon's disease that were granted permission for embryonic screening. Then recently, the HFEA gave the go-ahead for the technique to be used so that embryos could be selected purely because they are a tissue match for a sick sibling. And now families with FAP have been given permission. Why? In FAP, the faulty gene (found on chromosome no. 5) exerts a huge influence in causing active disease to develop with it; there is an 80% chance of the aggressive cancer developing. Another disease with this high a level of risk is the genetic form of breast cancer, whose faulty genes BRCAI and BRCA2 also give an 80% risk of cancer development in carriers. (This is still awaiting HFEA approval, however.) Although F AP generally occurs earlier than in the 'genetic' cases of breast cancer (FAP typically strikes during an affected person's 20's and 30's), treatment of both involves gruelling) major surgery with no guarantee of eliminating the disease completely. Pro-life groups such as Comment on Reproductive Ethics have been vocal in their disapproval of embryonic screening advances. Speaking to The Times recently, spokeswoman Josephine Quintevalle. Says, "We are not thinking about curing the disease but about eliminating the carrier." It's an interesting point. With a huge family history of breast cancer Jackie Hunter writes in a letter to the press that she also feels anger at the decision to allow embryo screening, because if this had happened 100 years ago, her entire family would now not exist. She points out that genes for disease aren't, perhaps, everything: "As well as our forefathers having cancer genes, they blessed us with entrepreneurial genes, artistic genes, literary genes, loving genes - indeed a veritable cornucopia of positive, wonderful genes." A persuasive argument.